Adidas had agreed a record £750m, 10-year deal to become the official kit supplier for Manchester United, following the club's split with long-term partner Nike. The brand has agreed to pay £75m per season, more than double Nike’s £23.5m-a-year deal, which expires next summer. The previous biggest deal was Spanish club Real Madrid’s agreement with Adidas, worth around £31m per year. It marks the latest phase in the increasingly fraught battle for supremacy between Adidas and Nike in the football arena, with both brands claiming success during the recent World Cup. "Our new partnership with Manchester United clearly underlines our leadership in football and will help us to further strengthen our position in key markets around the world," said Adidas chief executive Herbert Hainer. "At the same time, this collaboration marks a milestone for us when it comes to merchandising potential. We expect total sales to reach £1.5bn during the duration of our partnership." Nike announced it was to end its 13-year kit deal with Manchester United last week, after claiming the partnership no longer represents "good value" for the company’s shareholders. It added: "Any partnership with a club or federation has to be mutually beneficial, and the terms that were on offer for a renewed contract did not represent good value for Nike's shareholders. We look forward to a successful final season with the club." The statement arrived 24 hours after Manchester United revealed its latest kit, the first to feature new sponsor Chevrolet on its shirts. Adidas produced Manchester United's kits throughout the 1980s, with the brand's logo last on the club's shirts in 1992. 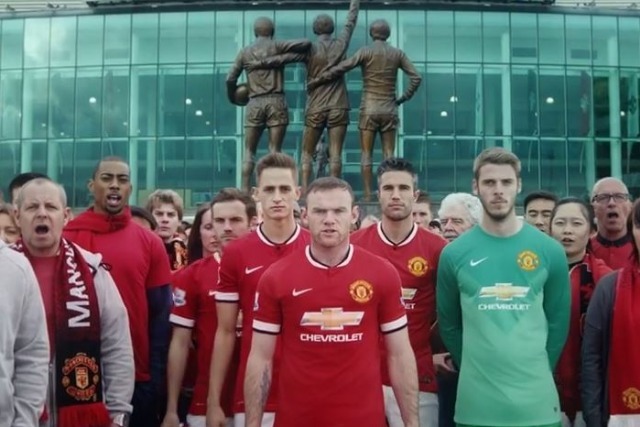 Will Nike get dumper's remorse from Man United break-up?